With the mobile gaming segment attracting so much attention lately, it’s no wonder that the number of developers builds up faster than ever before; after all, those games don’t create themselves. Just like any other development-related field, though, mobile game development gets a lot easier if you have the right tools at hand. If you’re a mobile game developer on the lookout for the perfect tools to help you get the job done, you’re right on the spot; this article will present some of the best tools for mobile game development. Marmalade is one of the most feature-rich software development kits you can find. You can use it to create games or applications for a large variety of platforms such as iOS, Android, BlackBerry, Mac OS X, Microsoft Windows Mobile and even Microsoft Windows. 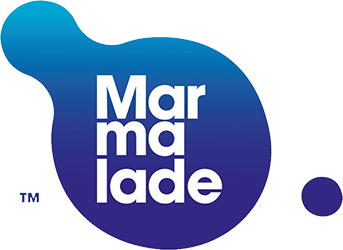 What makes Marmalade a good pick is that it incorporates everything into a single package – it comes with a low-level C API that allows you to access the main functions of the device, and a C++ API that’s designed to integrate perfectly with other APIs. The result is that you only need to write the main code once and then, using the appropriate API, adapt it to the platform you want. Objective C is also supported in Marmalade Juice, one of the supplements available for the Marmalade SDK. Recognizing the potential of mobile gaming development, Autodesk created a special version of their flagship modeling software Maya to accommodate the needs of mobile game developers. 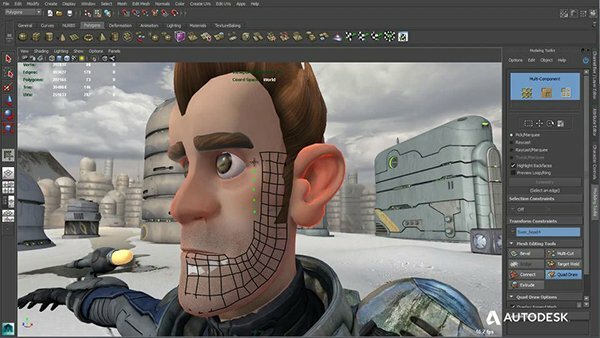 Autodesk Maya LT is a full-featured 3D modeling program that allows you to create and animate your characters with a very high level of accuracy. The software is perfectly adequate for indie game development, but it is not limited to this genre. Unlike Marmalade, Autodesk Maya LT is not a complete suite, meaning that you will need to use additional tools in order to have your game ready for the spotlight, but the program does handle a lot of aspects such as modeling, rendering, rigging, keyframing, lighting and so on. The program is well optimized and feature-packed, being capable of exporting into a variety of formats, ready to be imported in game engines such as Unity, Unreal Engine or CryEngine. The Unreal Engine is widely known from the PC gaming segment, being the game engine that sits at the base of a lot of successful games. Unreal Engine found its way into the mobile development segment too, providing a robust and feature-rich engine for 3D games.There is also a full development kit, the Unreal Development Kit (or UDK for short) that allows for a full development process. UDK is available for free, but if you want to sell the game you just created, you will have to pay a one-time fee of $99 and 25% of royalty if the revenues from your game go above $50,000. You can’t really talk about mobile game development without mentioning Unity, one of the most powerful engines of the moment. What makes Unity really stand out is its portability, the game engine being optimized to run on a wide variety of platforms. The content created with Unity can be compiled for Windows machines, OS X machines, Android devices, iOS devices, PlayStation 3 and 4, Xbox One and others. Perhaps one of the most attractive features for game developers is the fact that Unity-based games can also run in browsers and integrate with the Facebook API, which is an absolute gold mine considering the level of exposure it can provide. Unity comes in two flavors – standard, which offers a basic set of tools and features (which are enough to create games, though), and a Pro version that includes all the complex options you need to create a true masterpiece. The best part is that the basic version is free if your company featured revenue of less than $100,000 the previous year. If you don’t meet the requirements for the free version, you can also the Pro version for free for 1 month, after which you’ll be prompted to buy a license for a one-time fee of $1500or a contract of minimum of 12-month, at a price of $75per month for the Unity Pro without any add-ons. If you require add-ons, be ready to pull out another $75 per month. It may sound expensive at first, but on the long run, it’s a small price to pay for one of the best mobile gaming development tools out there.